Who else is following the Olympics this year? I always enjoy the athletics and the spectacle, and this year is no exception (though NBC’s lackluster coverage of it, as well as the incessant blathering during feats of physical prowess, may change my attitude). The London Games put me in mind of a story we ran some years ago in Arizona Attorney. Back in 2003, we decided to focus on lawyer–athletes. In case you don’t recall it yourself, you can read it here. This week, the Business Insider takes a similar tack by publishing some content you may enjoy. Their writers performed some legwork to create a roster of lawyers who used to be Olympic athletes. Here is the complete story. Flip through the list and let me know if you spot anyone you know. And is there a close connection between lawyers and a competitive spirit? Do those at the Bar exhibit the drive, tenacity and preparation needed to excel on playing fields? If you look at our 2003 story, you’ll note that the Business Insider story didn’t get all the lawyer–Olympians. Congratulations, of course, to today’s Olympians—but we also tip our hat to those who have gone before. 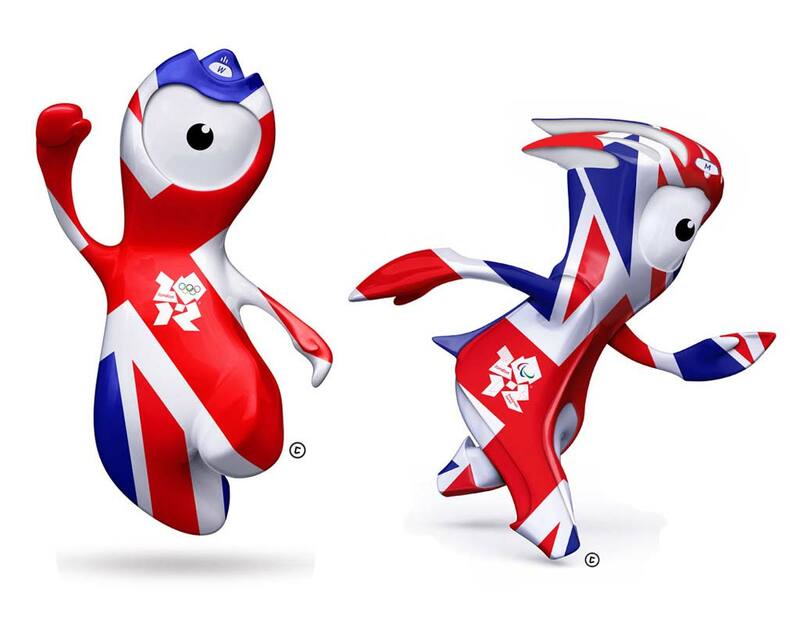 I couldn’t resist including the mascots for the 2012 British Olympics. 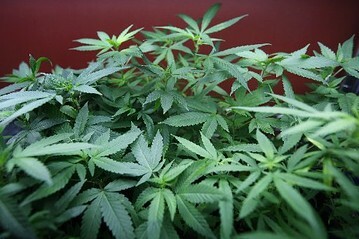 Can medical-marijuana dispensaries declare bankruptcy? To an increasing portion of the populace, medical-pot dispensaries are a business similar to many others—they have a building, some staff, a product. That’s not to say that everyone wants that business near their home, but an increasing percentage of the population appear to view it as an industry like others—and like some others, one that has some needed regulation. But a recent case in California throws that into question. After all, if the federal government is a significant holdout in the movement toward acceptance of the medical-marijuana industry, and if the federal government is in charge of the Bankruptcy Courts … you get the picture. “Mother Earth’s Alternative Healing Cooperative Inc. is in some trouble. The San Diego startup that opened last year is facing debt, the threat of eviction from its landlord and is involved in litigation. To deal with these issues, the company did what many would—on Wednesday, it filed for Chapter 11. In Arizona Attorney, we have covered broader aspects of the medical-marijuana controversy, specifically the dialogue over it in this state. But the intriguing question about bankruptcy is a good one. For if an entity cannot avail itself of bankruptcy protection, can it ever call itself a business? What is your answer to the BK question? 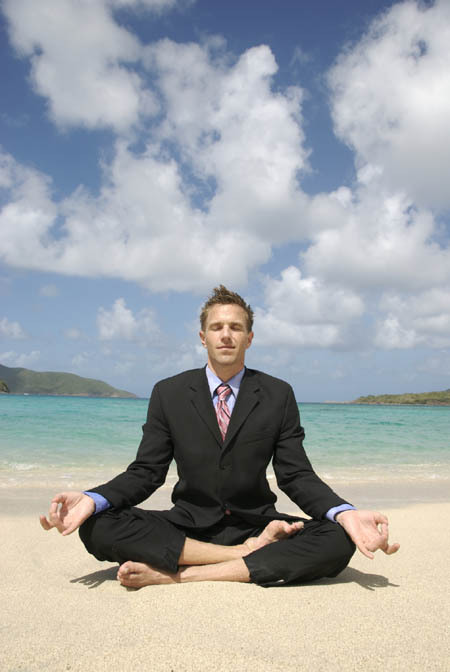 Do law firm retreats still provide value? On Thursday and Friday this week, the State Bar Board of Governors and senior staff are in Prescott, engaged in their annual retreat. There, they will examine a range of topics, reassess their mission for the coming year and, we must suppose, wrestle with Great Big Ideas. That leaves all of us chickens to not retreat (and to, I guess, advance) here in Phoenix. On this Change of Venue Friday, that fact leads me to wonder about the continued vitality (or its opposite) of the law firm retreat. Is that former staple of the white-shoe firm still a valued part of a vaunted profession? Or has it diminished in frequency or perceived value? Years ago, I had the (gulp) privilege to work at three large national firms, two in Chicago (before I was a lawyer) and one in Orange County, Calif. (after I graduated). 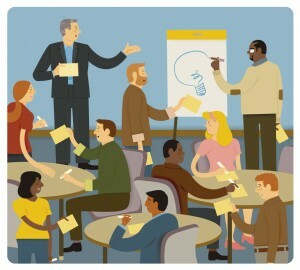 Each firm prided itself on the team-building and idea-generating that came from a retreat (primarily of the partners). Years later, when we assess the state of law firms generally and review the number of them that simply are no more, you have to wonder: What were they all discussing at those retreats? Clearly, high-level kibitzing proved to be no inoculation against a legal-market downturn. Many firms came into a recession ill prepared, and paid the price—retreat or no retreat. What is the highest value in a retreat? What questions and topics should be taken up at a law firm annually (whether at a retreat or not)? What are the biggest obstacles for progress at a law firm, and how could they be confronted in a retreat atmosphere? Today, I share some good news from Arizona’s legal community on the diversity front, on the same week as a significant national legal diversity event. First, the event. Tomorrow—Friday, July 27—the 7th Annual Legal Diversity Career Fair will be held at the Grand Hyatt in Washington, DC. It is being put on as a partnership between legal ranking organization Vault.com and the Minority Corporate Counsel Association (MCCA), a group that advocates for increased diversity in the legal profession. Online registration for the event is closed, but you can read a detailed agenda here. Meanwhile, right here in Arizona, we learned that one of our law schools has won a national diversity award. Here is the story, written by Janie Magruder at the Sandra Day O’Connor College of Law at Arizona State University. Congratulations to everyone at the law school! The Sandra Day O’Connor College of Law at Arizona State University has received a national award from the Law School Admission Council for its commitment to diversity and for demonstrating that commitment through programs for underrepresented students in high school and college. 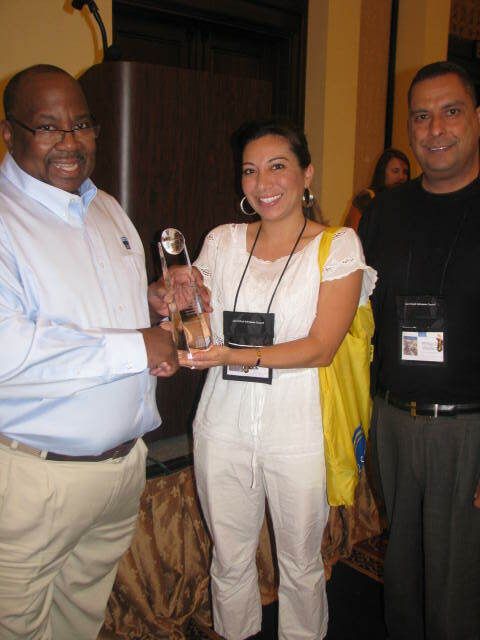 Marisol Diaz, Director of Admissions at the Sandra Day O’Connor College of Law at Arizona State University, accepts the Diversity Matters Award from (left) Kent D. Lollis, Executive Director for Diversity Initiatives at the Law School Admission Council (LSAC), and (right) Reynaldo Anaya Valencia, chair of the LSAC diversity committee, and Associate Dean for Administration and Finance and Professor at St. Mary’s University School of Law. Marisol Diaz, Director of Admissions and Student Groups at the College of Law, accepted the third annual Diversity Matters Award on behalf of the law school during the LSAC’s annual meeting in Boca Raton, Fla. The award is made each year to schools that demonstrate a strong commitment to diversity by designing programming for high school and college students from racial and ethnic groups that are underrepresented in law schools and the legal profession. The award is sponsored by the council’s Diversity Initiatives Office and its website, DiscoverLaw.org. More than 200 law schools are members of LSAC, which administers the Law School Admission Test and otherwise assists with admissions of students. The umbrella for the College of Law’s diversity programs is the Hispanic National Bar Association’s (HNBA) Mentoring Program. It assigns students in K-12 to mentoring teams comprising attorneys, law students, college students and high school students. Although the HNBA program serves many students of color, it is open to those of all ethnicities. The program acts as a stepladder for these students to fulfilling and meaningful work in the legal profession in a number of ways. High school students gain exposure to information about college, undergraduate and pre-law students learn about the law school admissions process and the importance of taking challenging classes, and all students, including law students, get an inside view of the practice of law with attorney mentors. Law students in the program periodically provide mentoring and outreach to elementary school students. For example, a law student organized an outreach program in which several minority law students visited the Eliseo Felix Elementary School in Goodyear, Ariz., and taught sessions in the classrooms. A couple of months later, the elementary students were excited to visit the state courts and legislature, under a grant from the State Bar of Arizona Diversity Program. Street Lawstrives not only to educate young people about the law, but to empower them to take an active role in the civic affairs of their schools, communities and country, and to enable them to identify problems and make positive changes in their lives and in others. With aprimary goal to increase diversity in the legal profession, law students from the College of Law’s Youth Mentoring Board are guest teachers in freshman classes at South Mountain High School. Library tours and exercises – Each October, students from South Mountain High tour the College of Law’s Ross-Blakley Law Library and receive instruction from staff about legal research. They are assigned to find, read, analyze and report on a U.S. Supreme Court opinion. The event traditionally takes place in the same week as the fall kick-off dinner for the HNBA/ASU Mentoring Program. Junior Law/CourtWorks exposes local middle school students in Phoenix, specifically focusing on Title I schools, to aspects of law school. Students are engaged in discussing an issue that is relevant to them and impacts their lives. The program seeks to foster an interest in the study of law and to encourage students to focus on academic achievement and higher education. Law students guide middle school students through the constitutional framework, the facts of the case, the arguments and counterarguments, writing and presenting opening and closing arguments, examining and cross examining witnesses, and the final U.S. Supreme Court decision. CourtWorks culminates in a mock trial at the federal district courthouse where students perform the roles of judge, attorneys, witnesses and jury members. Practicing attorneys and law students assist the students as they try their case, and at the end of the trial, students hear from U.S. District Court Judge Mary Murguia, the program’s host. Attorneys in the community, parole and police officers, court personnel and U.S. marshals also speak to the students, exposing them to a wide range of professions within the legal system. Here is some great news from the State Bar of Arizona (if we do say so ourselves!). We are pleased to report that some magazine staff (yes, me too) were recognized in a few national awards for terrific work related to Arizona Attorney Magazine. As you’ll see below, this blog was recognized; thank you to all the readers, especially those who have commented, critiqued and sent me suggestions about blog posts. Thank you and congratulations to my colleagues Karen Holub and Michael Peel, who routinely generate superior work that I would put up against that of most any magazine. 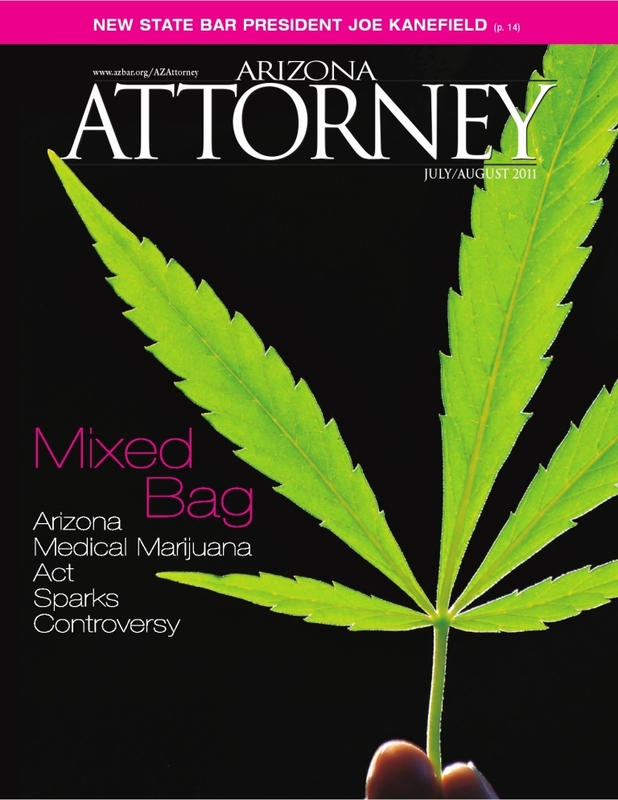 PHOENIX – July 24, 2012 – Arizona Attorney magazine’s own Tim Eigo, Karen Holub and Michael Peel each garnered an award for their respective submissions to the 2012 Awards for Publication Excellence (APEX). 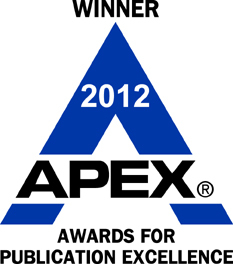 APEX Awards for Publication Excellence is an annual competition for publishers, editors, writers and designers who create print, Web, electronic and social media. Business, nonprofit, agency and freelance communicators can enter APEX to win awards for their best writing, publications, campaigns, programs, design, and media. All of this year’s winners are listed here. 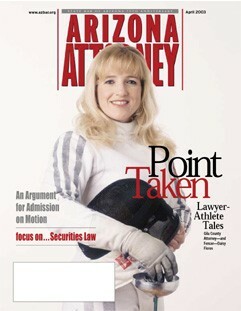 Arizona Attorney is the official magazine of the State Bar of Arizona. Published monthly and delivered to every attorney and judge in the state, circulation is just over 23,000. The magazine provides articles on substantive law issues, legal trends and feature profiles. The State Bar of Arizona is a non-profit organization that operates under the supervision of the Arizona Supreme Court. The Bar includes approximately 16,900 active attorneys and provides education and development programs for the legal profession and the public. Since 1933 the Bar and its members have been committed to serving the public by making sure the voices of all people in Arizona are heard in our justice system. This week, I’ll have some great news about awards to Arizona legal entities, demonstrating once again that our state is filled with people committed to justice and the pursuit of professionalism. Today’s announcement goes out to the remarkable folks at the Florence Immigrant & Refugee Rights Project. This week, the American College of Trial Lawyers bestowed on the Florence Project its prestigious Emil Gumpert Award for 2012. Arizona Attorney Magazine and I are great fans of the Florence Project, which routinely provides legal services under challenging conditions to people who often have no other recourse. “The American College of Trial Lawyers announces the Pro Se Material Project of The Florence Immigrant and Refugee Rights Project, of Florence, Arizona, as the winner of the 2012 Emil Gumpert Award. The $50,000 first-place prize is funded by a grant from the Foundation of the American College of Trial Lawyers. The funds will enable The Florence Immigrant and Refugee Rights Project to inventory, review and redesign current pro se materials to improve and expand access to self-help materials for pro se detainees in Arizona and across the country. “The Florence Immigrant and Refugee Rights Project provides free legal services to men, women and unaccompanied children detained by Immigration and Customs Enforcement in Arizona. Although the federal government assists indigent criminal defendants and civil litigants through public defenders and legal aid attorneys, it does not provide attorneys for people in immigration removal proceedings. As a result, an estimated 86 percent of immigrant detainees go unrepresented due to poverty. The grant from the American College of Trial Lawyers will support the goal of the Pro Se Material Project to ensure unrepresented indigent immigrant detainees pursuing viable claims in immigration court have access to accurate, clear and useful legal information so they may more effectively represent themselves pro se. “The Emil Gumpert Award recognizes programs, whether public or private, whose principal purpose is to maintain and improve the administration of justice. The award honors the late Honorable Emil Gumpert, Chancellor and Founder of the American College of Trial Lawyers. Through his dedication to the legal profession for more than 50 years, Judge Gumpert’s legal career encompassed that of eminent trial lawyer, California State Bar president and trial judge. “Previous Emil Gumpert Award winners have included The Southern Public Defender Training Center, Atlanta, Georgia (2011); the Older and Wiser Program of Neighborhood Legal Services, Pittsburgh, Pennsylvania (2010); Pro Bono Law Ontario, Ottawa, Ontario (2009); And Justice For All, Salt Lake City, Utah (2008); The National Center for Refugee and Immigrant Children, Washington, D.C. (2007); Legal Aid University, Boston, Massachusetts (2006); and Dakota Plains Legal Services, Mission, South Dakota (2005). “The Pro Se Material Project of The Florence Immigrant and Refugee Rights Project was chosen from a wide field of applicants throughout the United States and Canada who seek grants to promote projects of global application and with potential for replication in other locations. The Pro Se Material Project meets all the College’s criteria through its ability to duplicate, encourage and extend its services beyond the jurisdiction of its existing program in Arizona. Congratulations to the Florence Project and its staff of talented, dedicated people. More about the award is here. On that page, you can see the groups that won this award in the past. But the online list only goes back to 2005. Travel back one more year and you’ll see that the 2004 Emil Gumpert Award went to the University of Arizona James E. Rogers College of Law. You can read about that honor in the words of then-Dean Toni Massaro. This morning, I am back in the office after a solid week’s vacation. It was many things, but among them, it was too brief. In fact, it may be safe to say that I am less than an office pleasure right now (what else is new, colleagues would say). Because I know you’re wondering, here is a photo from our stress-free vacation. Our Laguna Beach view, broken occasionally by a paddleboarder or two. It has been quite awhile since I’ve taken that amount of consecutive time off. To do it required me to complete many tasks in advance, and it meant that my cohorts had to increase their already-high mindfulness of our shared work goals. Even lawyers need a break. So on this Monday morning, as I gaze at my stacked tasks and as the pleasures of a California beach town recede into memory, I thought I’d share a few lawyer-vacation insights. The first is by a Minnesota lawyer named Randall Ryder. It was last summer that he wrote his article “How Solo Attorneys Can Take a Summer Vacation,” but I think his advice still applies. And then there is the more pointed commentary by lawyer Brian Tannebaum, which he charmingly titles “What I Did on My Summer Vacation.” His advice will not so much help you close your office for a needed break. Instead, out of his vacation he sheds some helpful light on marketing and customer service—as important for law offices as they are for restaurants and surf shops. Have a decent Monday. That is my goal.